As Level 15 comes to an end, so does Flight A for Event #14 $400 NLH. Approximately 50 players remain, and they have bagged up their chips and will return tomorrow at 12pm EST to combine with the survivors from Flight B. Those players are currently at the end of Level 6, with registration still open. Cards are in the air for Flight B of Event #14 $400 NLH. Registration is open for 8 levels, or until approximately 9:30pm EST. A full structure is available at here. The field will play 15 levels today just like Flight A is doing now, and the survivors will return tomorrow to play down to a winner. Only a few hands into heads up play, we heard all in and call and looked down to see a full board reading [3d][Tc][6c][Js][Kc]. As the players were pretty deep, it would need to be a cooler for them to get it in this quick, and it was. Both players had flopped a flush draw and ended up rivering a flush, but John Sandberg's [7c][3c] wasn't big enough to beat Gerasimos Spyratos's [Qc][8c]. 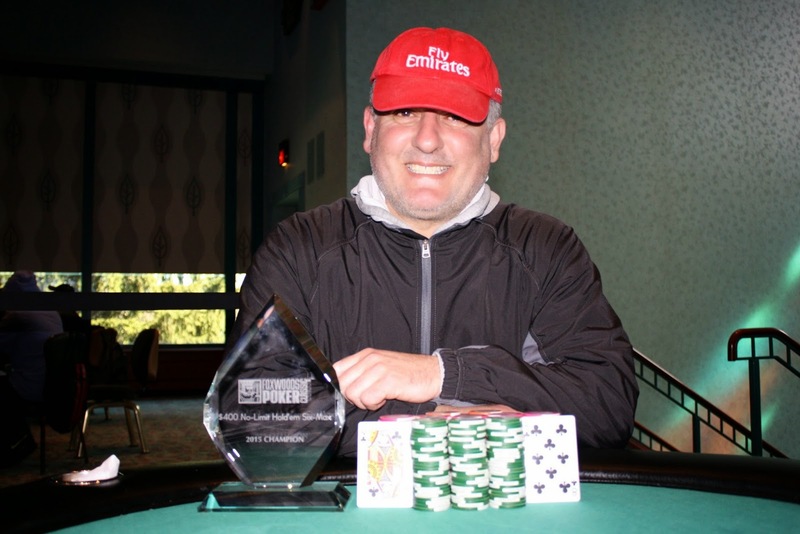 Gerasimos Spyratos will win $10,754, the trophy, and the 2015 Foxwoods Poker Classic Event #12 title. Congratulations, Gerasimos! 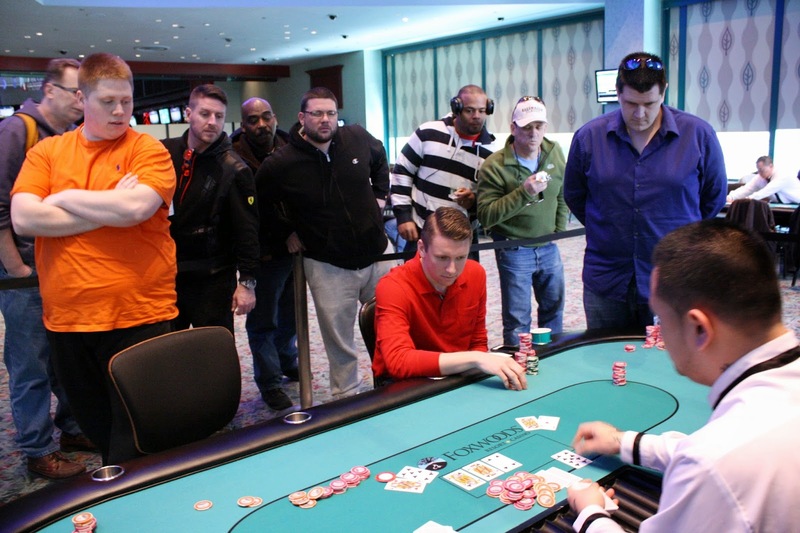 It is now heads up between John Sandberg and Gerasimos Spyratos. The two players have agreed to split the remaining prize money, taking $10,753 a piece, and will play the tournament out for the trophy and the title. On a [5c][4s][Ad] flop, Benjamin Bouchard moved all in and was snap called by Gerasimos Spyratos. 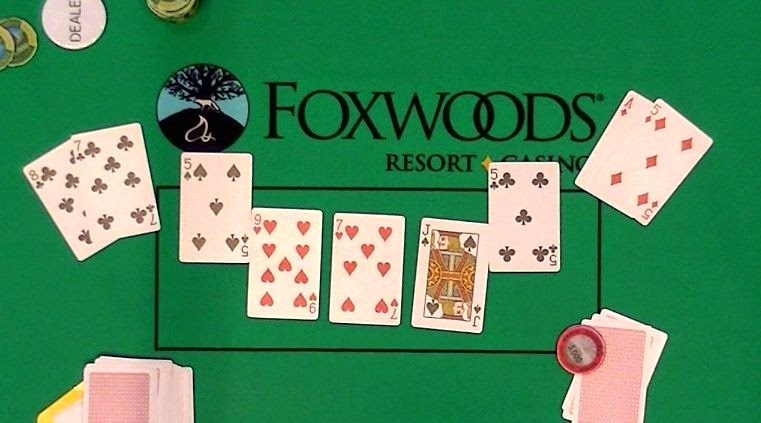 It was an unlucky flop as Benjamin's [Ac][Qh] was beat by Gerasimos's [Ah][5h]. The [2h] turn brought chop possibilities, but the [As] river meant Gerasimos made a full house to eliminate Benjamin in 3rd place. He will earn $5,680 for his efforts. James Carmody moved all in from the small blind, having Gerasimos Spyratos in the big blind covered. Gerasimos called off for 362,000 with [7s][7h] and was racing against James's [Kd][Qs]. The [6h][3d][Ad] changed nothing, but the [Td] turn gave James as many outs as he could hope for. The [Ts] wasn't one of them, however, and Gerasimos doubled through James, leaving him crippled. 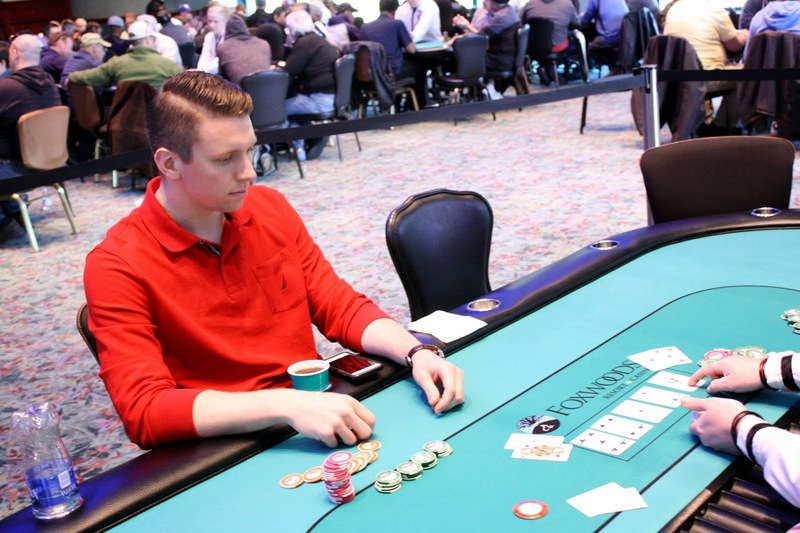 A few hands later, he got the rest of his chips in against John Sandberg and Benjamin Bouchard. The two checked a [5s][9d][6s] flop, but the [8s] brought a bet from Benjamin and a call from John. 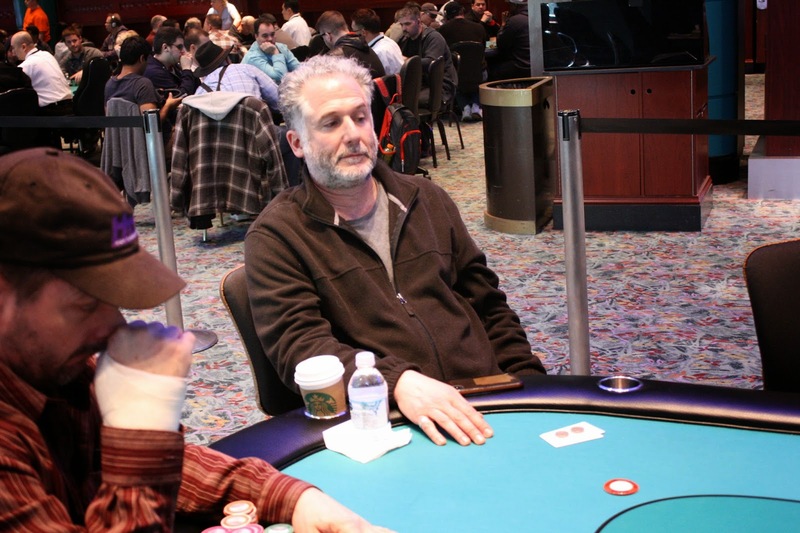 The [Tc] river brought another bet from Benjamin, but this time John folded. Benjamin showed [As][Ks] for the nuts, and James will be eliminated in 4th place. 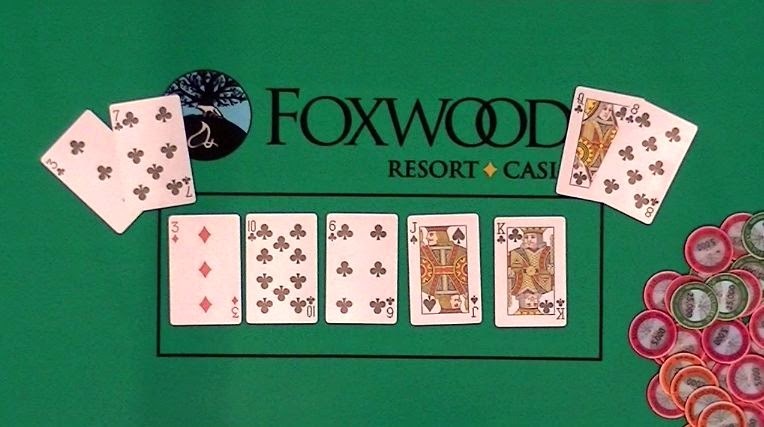 His [Ah][3s] was no good this hand, but he does collect a $4,224 payday for his efforts. 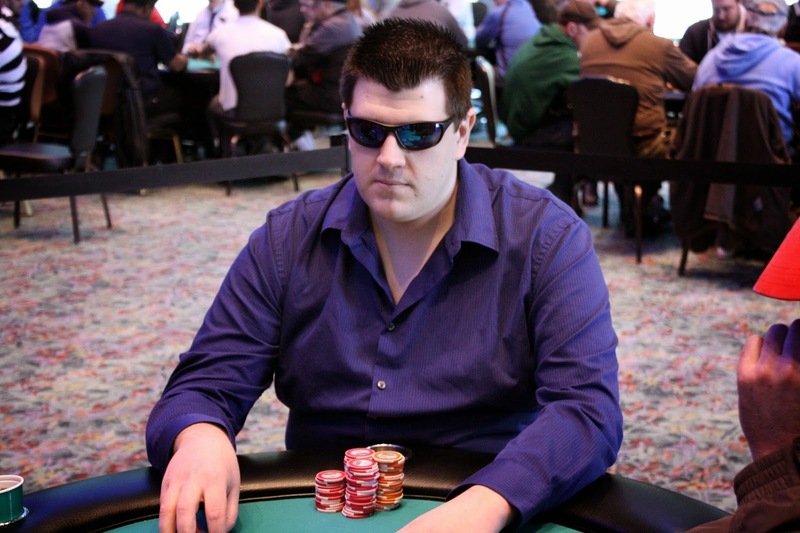 Jamie Berger got the last of his chips in and was called in 3 spots. On the turn with the board reading [As][Ks][8s][9d], John Sandberg bet and got both live opponents to fold. Jamie asked John if he had the flush yet, showing [Jd][7s]. John tabled [Ad][Tc] for top pair, and Jamie was excited he had flush and straight outs. The river fell the [9h], fooling Jamie to believe he had hit his gutshot. But the four across was not a ten, so John's two pair will win this pot. 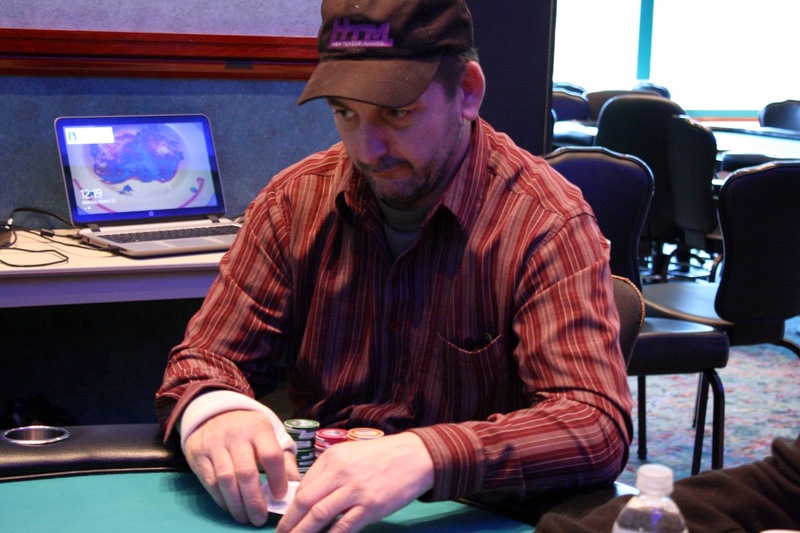 Jamie will be eliminated in 5th place for $3,204, walking away from the table saying, "It's fun to have outs!" On a [Qc][Jc][4s] flop, Christopher O'Hara was all in with [Qh][7c] but was in bad shape against James Carmody's [Ah][Qd]. The turn fell the [9c] and Christopher begged for a club on the river. Instead, the [Ad] hit the river, eliminating Christopher O'Hara in 6th place. He will earn $2,622 for his efforts. The final table of Event #12 $400 NLH 6-MAX has begun. Seating assignments for the final six follows. 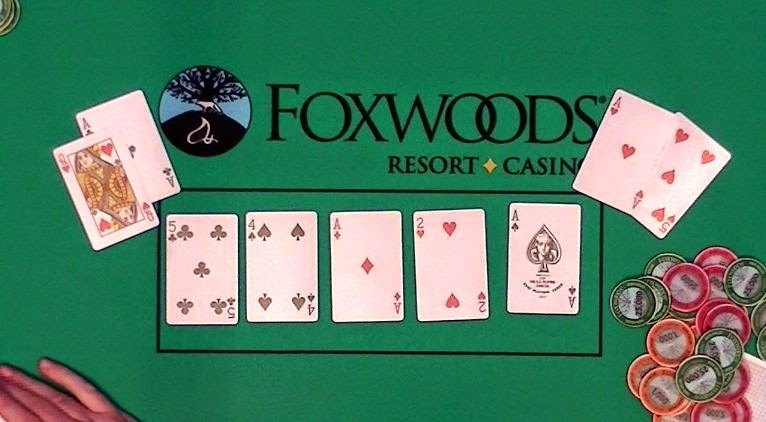 You can watch all of the final table action at www.FoxwoodsLive.com. Re-Entries will be available through the end of the 8th level. This tournament is NOT a best stack forward. If you bag chips at the end of any day/flight and them play in subsequent day/flight, your previous day/flight chips will automatically be forfeited. Flights will be combined for Day 2 on March 24 @ Noon. After a marathon 3 1/2 hour heads up battle, it has finally ended. 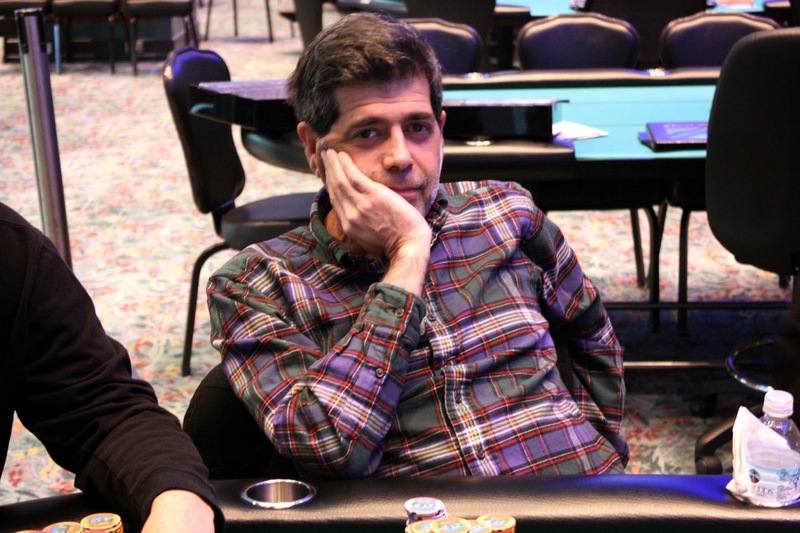 Mark Dickstein got the last of his chips in with [8c][7c] against David Harting's [Ad][5d]. It looked like the heads up match would go on longer as the flop fell [5s][9h][7h], meaning David was drawing to a 5 outer. The [Js] hit the turn, but when the [5c] hit the river, Mark would be eliminated in 2nd place exclaiming, "I don't know how you win that hand!" 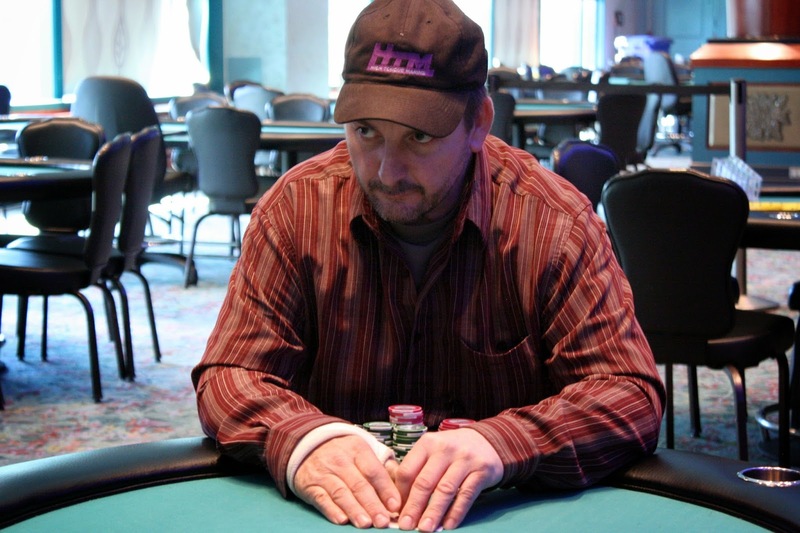 David Harting has won Event #11 $1,650 NLH. 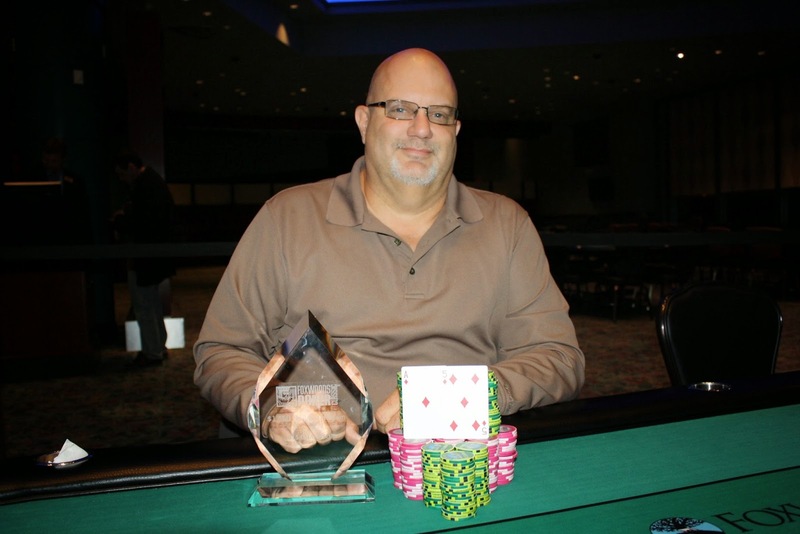 He will take home $41,069, the title, and the coveted Foxwoods Poker Classic trophy. Congratulations, David!